I had always heard that Salem's Halloween celebration was unlike any other, so I decided to check it out for myself. I had been to the Witch City a couple of times in the Spring and Summer, but never during the Halloween season. After doing some online research, I found out that Halloween in Salem isn't just a one day thing; it is a month-long celebration. Throughout the month of October, the city of Salem hosts a lot of fun events including parades, costume parties, themed dinners, historic museum tours, Witch Trial reenactments, haunted harbor cruises, and more. While searching online, I found a number of valuable resources that helped me plan my visit. The Destination Salem site was able to answer a lot of the general questions I had about the city. Salem Haunted Happenings had a long list of scheduled activities, as well as providing information about shopping, lodging and parking. The Festival of the Dead website was also a nice resource for event information. If you are planning on visiting Salem, be sure to request a free Salem Visitor & Travel Guide by filling out the online form. Links to helpful websites like these and more can be found on the last page of this online review. Salem is a great vacation destination for a number of reasons. For one, the New England area is rich in Early American history. By visiting various historical sites, a lot can be learned about early settlements and the maritime era. Salem is also a great place to go, if you are a fan of vintage architecture. While you are there, be sure to make a stop at Chestnut Street. As a part of the McIntire Historical District, this 80 foot-wide thoroughfare has some amazing structures that were built in the early 1800's. Salem is a very pedestrian-friendly city. In fact, you can make it to most locations on foot. Most of the tourist attractions in the city can be found by following the "red line", which is a red line painted on the sidewalk, which leads to many of the city's points of interest. If you want to explore all that Salem has to offer, there can be a considerable amount of walking, so be sure to wear comfortable shoes. In the few times that I've visited the area, I've found that the best strategy is to not drive at all. Stay at one of the hotels in the city. The Hawthorne Hotel, Salem Waterfront Hotel and The Salem Inn are all within walking distance of most of the main tourist attractions. If you decide to stay in Salem, be sure to make your reservations early. 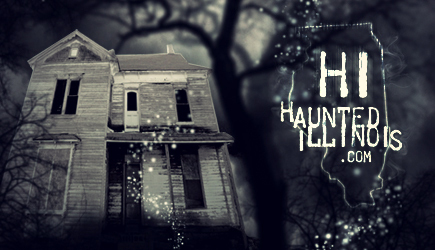 Hotels in the city and surrounding area are often booked solid, several months before the Halloween season. If that is not an option and you have to drive, I would strongly suggest that you used one of the city's parking garages. Curbside parking spaces can be very hard to find, especially in October, when the city is the most crowded. During my visit, I found Salem to be quite enjoyable and relaxing. While I was there, the people were friendly and the city seemed to have a very homey and welcoming feel. Also, the picturesque views from places like Salem Common, Derby Wharf and Salem Willows Park, made the atmosphere especially serene. With the beautiful colors of the autumn foliage and exhilarating chill in the air, I think that Fall is the best time of the year to visit Salem. As an added benefit, if you visit in October, you will have the opportunity to participate in all of the fun Halloween-related events and activities, as well. When I arrived in Salem, a few days before Halloween, I noticed a few new things that I hadn't seen on my previous visits. Set up for the Halloween celebration, there was a carnival along one of the main streets, with rides, games and concessions. Throughout the city, there were also several kiosks that were selling food, clothing, jewelry, artwork and other items. For more information about some of the tourist attractions that were not covered in this online write-up (Witchcraft Victim's Memorial, Wadsworth Cemetery, Gallows Hill Park, etc), be sure to read my first Salem Review.